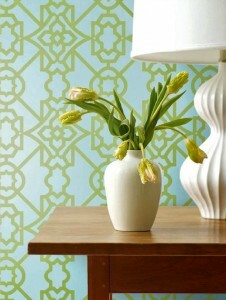 Wallpaper — a nice accent! Ultimately, we want you to feel comfortable to pick up the phone and call for expert, friendly assistance in calculating your desired wallpaper necessities! Whether you live close in the neighborhood or on the other side of the country, we are here to help! Deducting square footage for doors, windows or cabinetry can be discussed over the phone for accurate measurements.